Thank you to Dunkin' Donuts for Sponsoring this post. We've all been there. That week that feels like it takes forever. Shuttling kids back and forth to school, games and activities, errands, car repairs, the vet; a constant stream of to-dos draining us of our energy. What's a busy mom to do? I learned it the hard way myself, you need to refill your own bucket. Yep, I know, that you know, that you need to slow down and take a few minutes for yourself. You need to find a few minutes in the day and a simple way to recharge your own battery. For everyone's sake! I don't know about you, but guilt is a big thing that holds me back from taking time for myself. My husband doesn't care, happy wife happy life - right? My kids don't care if I do something for myself - they probably wouldn't even notice unless it detracted from something for them (God Bless children). The only thing really stopping me, is me. That's right, we need to get out of our own way. It doesn't have to be a big deal, like a day at the spa. Although that sounds heavenly, doesn't it? It can be as simple as ten minutes to write in your journal or a half hour at your local coffee shop, enjoying something just for you. It doesn't have to be anything HUGE - just a few minutes, focused on yourself and something you enjoy. You know who has your back? Dunkin' Donuts. I know - right? But they know that their guests don’t always have time to sit down and enjoy a complete meal, and that we may be eating at unconventional hours in a clockless day, so they have continued to create menu options that provide delicious choices we can enjoy anywhere, at any time of day. We were having another dreary and chilly day around here, and I really needed a little "me time" so I ducked into my nearest Dunkin' Donuts. They had their little "fireplace" lit, with cozy chairs all around it, and the smell was heavenly. 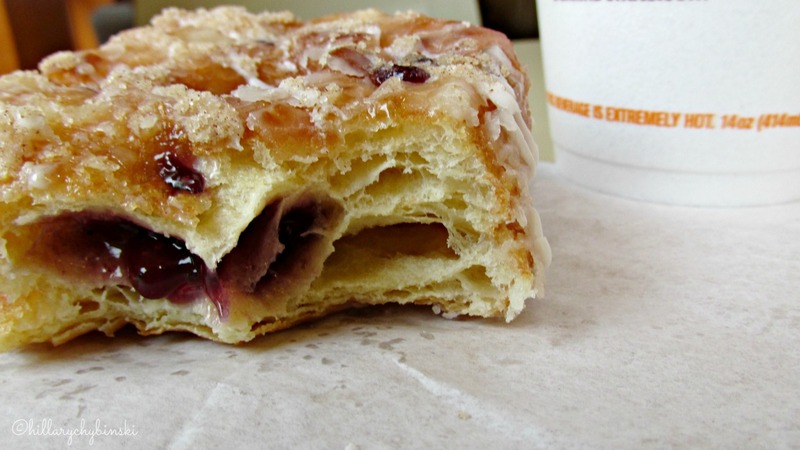 I was in the mood to try the new Blueberry Cobbler Croissant Donut. I have a real thing for blueberry. Some days, a girls just wants what she wants, when she wants it - am i right? I love this concept of breakfast-type food available all day. Breakfast foods are my absolute favorite (next to pizza) and they also make my picky kids happy. Dunkin’ Donuts is a great destination for on-the-go people and families who want a quick bite or a meal any time of day. We all know that breakfast is not just for breakfast any more. 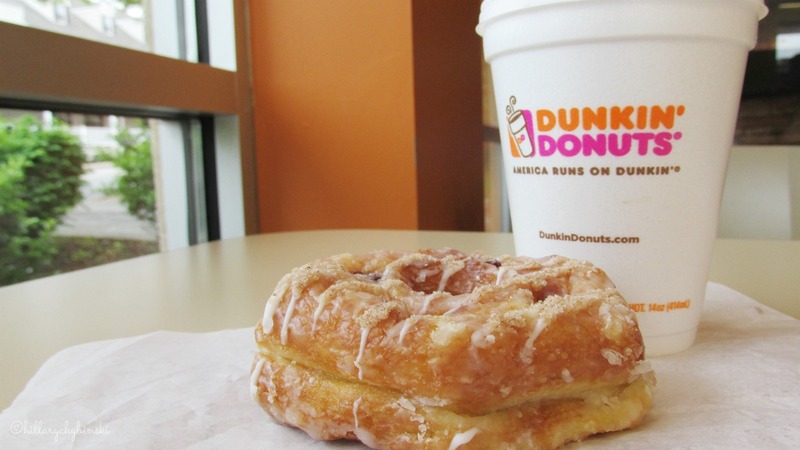 But this was "me time", so I ordered a Croissant Donut and a cup of coffee, made just the way I like it. I brought my goodies over to one of their cozy chairs, and settled in with my journal for a few minutes of pure bliss. This yummy Croissant Donut hit all my high spots for sure! It was soft, flaky and moist, with cinnamon on the top, and the most amazing blueberry filling, which was a total surprise. 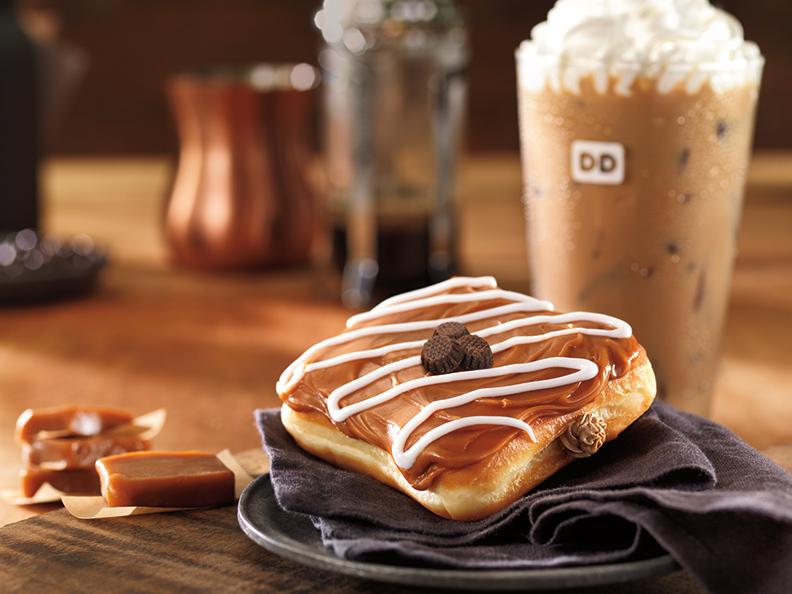 Did you know that Dunkin’ Donuts is committed to menu innovation? They give their guests even more choices, with the same great taste, quality and value that they expect. The first Croissant Donut at Dunkin’ Donuts was introduced in 2014 as a limited-time only menu item, and became one of the most popular limited-time bakery items in recent brand history, and I can totally see why! I'll be going back soon to try out the new Caramel Latte Square as well, because it looks amazing! 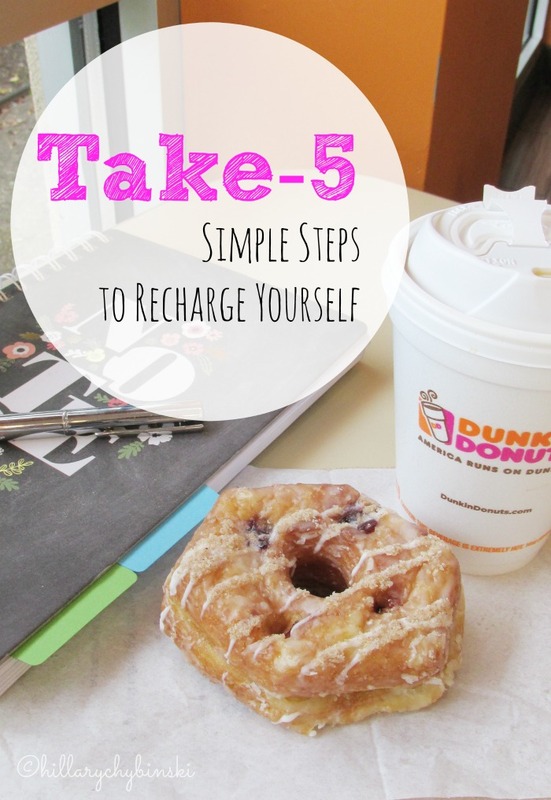 When was the last time you took a little time to recharge yourself? Don't you think you deserve some today?? Now I really want a donut... and they have really good almond lattes.